Schools can help parents develop this role by building meaningful school-home relationships and encouraging ongoing parental involvement and communication. Studies show that the need for strong family involvement starts when children are in nursery, continuing right through to the end of their secondary education. Many studies have been conducted to help identify the link between parental engagement and academic success of the pupil, as well as a greater achievement of the child’s potential when analysing extra-curricular aspects. This in turn can lead to improvements in the school’s overall performance. To help you create a committed parental engagement strategy for your school, we've created a parental engagement eBook exploring the topic within schools. This eBook provides readers with an overview of the academic findings, as well as taking a practical approach to implementing a parental engagement strategy. Get your copy today by submitting your details in the form. 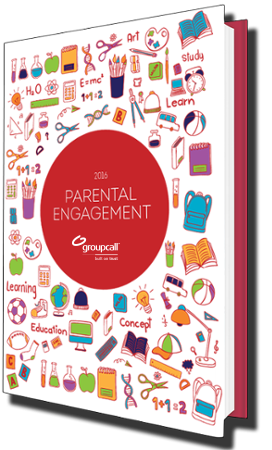 A detailed 10 step guide on how you can effectively implement a parental engagement strategy within your school. A summary of academic research and findings on the benefits of parental engagement. Best practice examples of parental engagement. A breakdown of the best engagement technology solutions for schools.